A place to discuss special considerations involved prepping and reacting to a disaster with children, pets and other family concerns. Y'see I did something different this Summer. I bought something pretty, something relaxing to watch and amazingly entertaining to take care of. Yes, I bought a snake. It's not my fault! My eight year old daughter had to get one first. I liked it so much I got my own. It's kind of weird any of my discretionary spending for the past years has been in preparation for a... less sunny future. Now I have this silly snake to take care of. Does anyone have any snake preps or plans? Thanks for any thoughts or suggestions! Dabster, you have way too many posts to be anything other than completely legitimate in my book. So I'll let others chime in with serious comments on the care and feeding of snakes as a family survival prep. 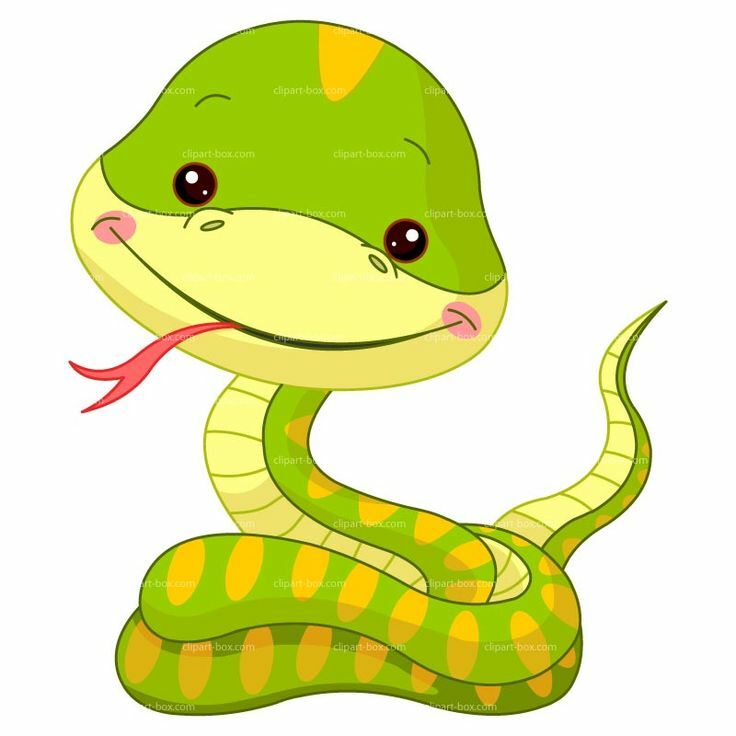 I guess from my POV the snake would not need a prep, the snake would become a prep. I am not familiar with snakes as pets. That said I would suspect that preparations for snakes are similar to any other pet for which one has a familial attachment. 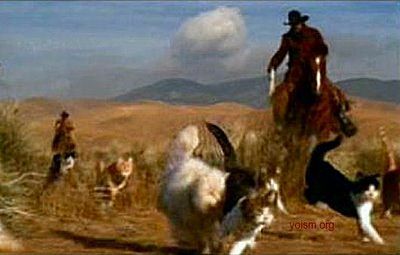 In other words provide for food Water Shelter and then the case of cold-blooded Critters appropriate habitat. 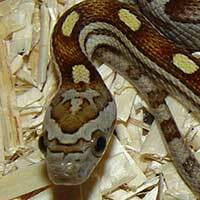 I want to help you but first we need to know the species, corn snake, rough green snake, ball python. Second, where are you located, bugging out with a snake in Duluth in December is a lot different than Tucson. What is the current length of the specimen? A young red tailed boa is much more portable than a full grown exemplar. Lastly, is you bug out plan to bug out for a week to avoid a flood or raging wild fire or are you the person who thinks “if I have to bug out I’m never coming home. Favorite Zombie Movies: The Omega Man, I Am Legend, Dawn of the Dead v1974. It's the 'cute' species of course, the cute size also. Please share your resources with me daddy. Nope. Not trolling. I definitely wouldn't eat them (at least not until the bitterest of ends). We have an 11 week old corn snake and a 7 week old king snake. They're both about 15 inches long and live in their own 18x18x36 enclosures. They require water, heat, light and a baby mouse every five days. I figure I can always find mice but my concern is maintaining heat in a prolonged loss of power. I guess I will need to research options. 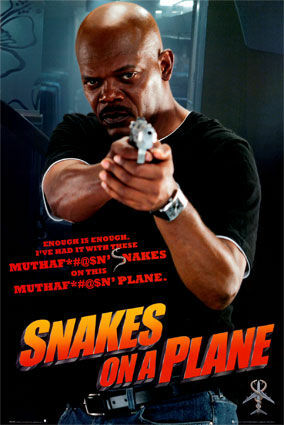 Lastly, you should re-think all the snake hate. They're cool pets. If you're bugging out, you'll most likely going to probably have some sort of fire. 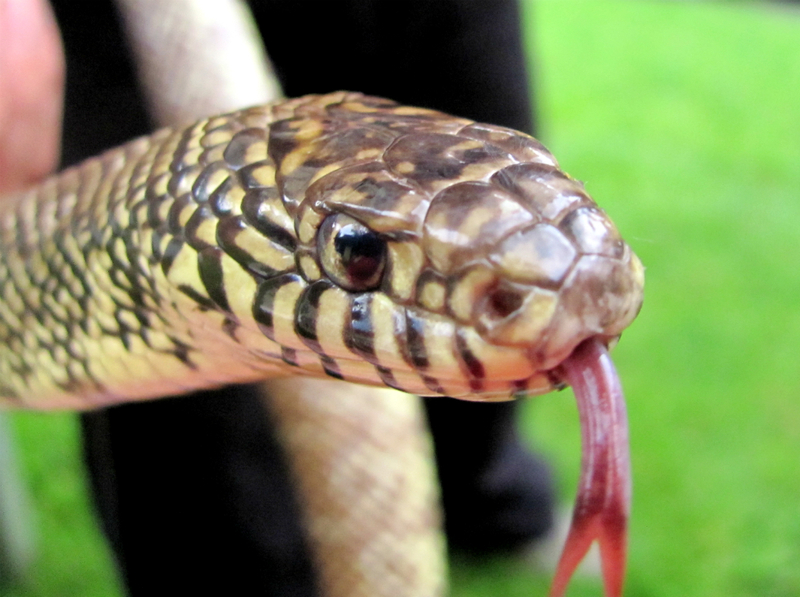 Snakes do need to be warm, but if they are "cool" they just become lethargic. If you're bugging in, put the cages near the fireplace to keep them warm. I think the far biggest issue would be food. Sure mice, shrews, voles are plentiful nearly everywhere. Problem is, catching them alive. Most traps are meant to kill them. You could make some home made traps with plastic bottles and stuff to catch live food, but snakes can go a lot longer than 5 days without food to survive. Right now, your snakes are young and eating pinkies, you can do one of three thing regarding feeding, bring individually frozen mice to feed them, if you think you are in a high probability of bugging out feed them two mice so you can skip a month or two. Remember, snakes have a very low metabolism so you can skip feeding them for two-four weeks. A word of caution, I was leaving for a trip to Europe for several weeks, so I fed my almost 5' corn snake three adult thawed mice. He ate them happily, then about an hour before leaving I looked in its enclosure and saw it had regurgitated all three. I just threw them out and fed the snake three weeks later. Nothing bad happened. If you are going to bug out in a PAW, feeding them wild caught will give them a variety of parasites, so check what kinds of meds you will need and the dosages. Do you have a travel box? It's not really practical to bring a glass terrarium. Standard Sterilite works fine. A corn snake will really need a hide, I would put several old wash cloths in the travel box for each snake to reduce stress. Water, remember it's not a dog, if you can give it access to a water dish every three days you should be ok.
Heat, here is where things get tricky, a peel and stick thermometer is your friend. You don't have to keep you snake warm, you have to give him the ability to thermo regulate by changing his location in the box. Remember, we run at 98.6 and that will cook most snakes so don't keep him under your jacket, also remember what happens to dogs in a closed cars. That's a lot of passive heat. Putting the travel box half under your blanket/quilt and half outside will give your specimen a temperature gradient. Still no idea of your geographical location, but if you have a prolonged power outage and a below ground basement between 35 and 45 degrees, you put the snake in a bag and he will go to into brumation. That would be something to read up on. It goes without saying that King snakes get their name because they eat other snakes, so get two travel boxes. Last edited by Evan the Diplomat on Thu Aug 23, 2018 8:33 pm, edited 1 time in total. Actually it is preferred to feed your snake dead mice, they are easy to buy in bulk and you greatly reduce the chances of injuring your snake. A mouse or rat will bite when cornered and that can harm your snake, in the wild, snakes are ambush predators and have room to maneuver. That's a carpet python, Australian native. Good to know! Thanks! I don't have snakes but that's good information. Remember, snakes have a very low metabolism so you can skip feeding them for two-four weeks. Eastern Washington. Temperatures (Without windchill) vary from -10 to 110 annually. I roasted a watersnake over a fire once while camping. Tasted flavorless. Regardless, my family has a mini-farm... snakes are good to keep rodents away from the pond and out of the barns (with the help of a barn cat). Snakes are bad for chicken coop and eating eggs. Luckily, their blacksnakes only rarely take the surplus of eggs. Possums, raccoons, and hawks are more of an egg/chicken issue. Like skinless chicken breasts, snake depends on seasoning for flavor due to the very lean protein. Black rat snakes, (Elaphe obsoleta obsolete) are impressive predators and remarkable tree climbers. Snake-proofing a hen house would be a challenge. I keep two very large black snakes out back under the bushes. At least I think there are two of them, there may be more. But what I don't have? Mice, rats, other snakes. 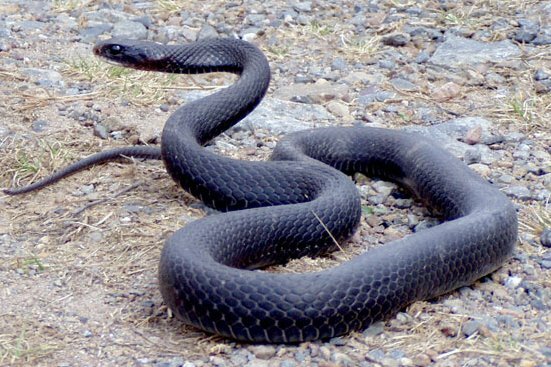 Large Black Snakes are excellent little territorial creatures that keep the venom snakes away. Upkeep and maintenance is zero. That black snake, while indeed black, is the Eastern Kingsnake, Lampropeltis getula getula.. The apex predator among the snakes, they are well know for their ability to sustain bites from rattlesnakes and copperheads while making a meal out of them, hence the name Kingsnake. Fun fact, the genus name Lampropeltis means "shiny shield" as Stercutus' excellent photo illustrates, their scales are round and tightly packed together like a bunch of tiny Spartan shields. The black rat snake has more elliptical scales, and although the rat snake appears to have a white pattern like the king snake, that is actually his while skin showing between the scales. 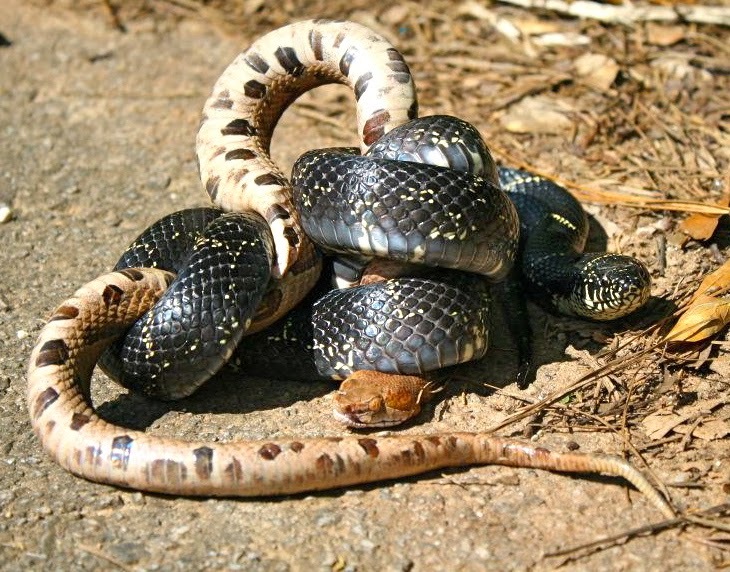 The eastern king snake actually has white or yellowish scales to make his chain pattern. 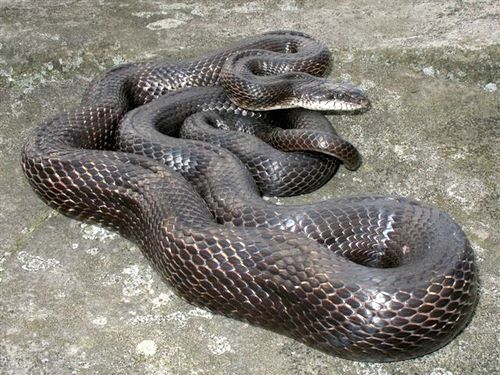 Other ways to tell the difference is that the black rat has a more elongated head compared to the rounder king snake, and the rat snake's body has higher sides, its cross section is like a loaf of bread, while the king snake is round like a garden hose. 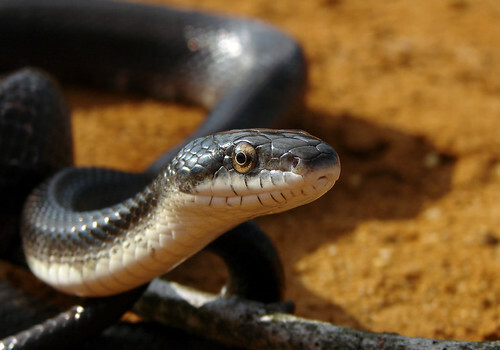 Just to round out North America's most notable ebony colored serpents, round like a hose, flat black in color, likes to stick his head up in high grass like a periscope and has very large eyes, that is the black racer. The state reptile of Ohio, he is called "the farmer's friend" for his voracious appetite for mice. Don't pick them up. Non-venomous but squirm like hell and quick to bite. Avoid the head, that's a death move to snakes and they will defend themselves. If I see them slithering around, I'll try and get two hands on them as quickly as possible, about 1/3 down from the head and the second had on the last third of the body with a pretty gentle grip supporting the weight of the specimen. As they try to move, just shift your hands like a tread mill so you keep holding him in the same relative position. Don't try and restrict his movement. Keep the snakes head pointed away from your face and have any spectators stand to the side. Their tiny reptilian brain can recognize eyes and a mouth and our big maws look pretty threatening. You don't want the snake thinking he's the main course. Rat snakes calm down very quickly, at Scout camp, I've gotten hold of rat snakes on the lower third of their body and slowly and gently pulled them out of their holes. Remembering to support their weight, keeping my face out of their line of sight and giving them their lead, they calm down in a few minutes. I never pass the snake around to the Scouts but I do let them stand to one side and touch or stroke the tail portion. Remember to always stroke in the direction of the tail. You sound like a guy who knows his way around a snake! Can you answer a question that has been a mystery to me for several weeks? 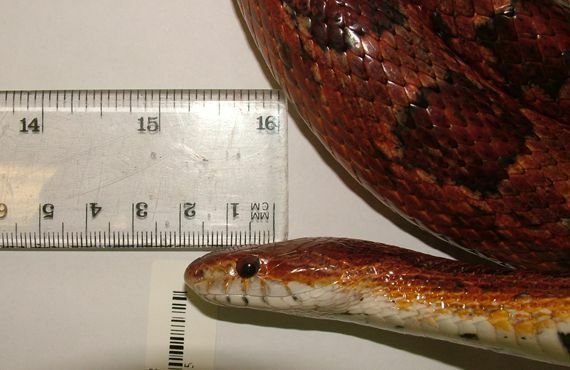 How do you distinguish a corn snake from a king snake (Let's ignore hybrids for the moment)? Is it just the colors and patterns or are there other features? Oooh, great question. First off, rat snakes (this includes corn snakes) and king snakes (this includes milk snakes) are two different species. They look a lot alike, but just as a fisherman knows a bluegill from a crappie, you begin to learn in the world of snakes. Because snakes are basically long tubes of muscle, they can be hard to tell apart. 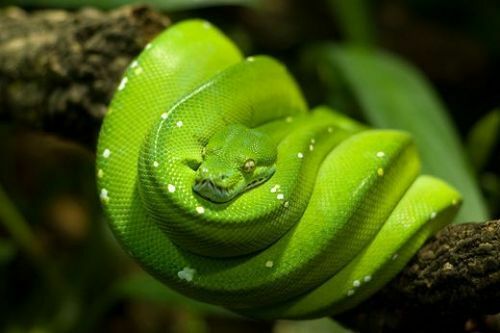 Totally different snakes, boas give live birth, pythons lay eggs, but they developed in nearly identical habitats on opposite sides of the planet. This is known as convergent evolution. 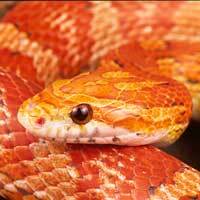 So on to the question at hand, how to tell corn snakes or rat snakes in general from king snakes and milk snakes. The three things I mentioned in the previous post matter here: shape of the head, elongated vs shorter rounder, the cross section, bread loaf vs garden hose and scale shape rounder tighter vs elliptical/looser. 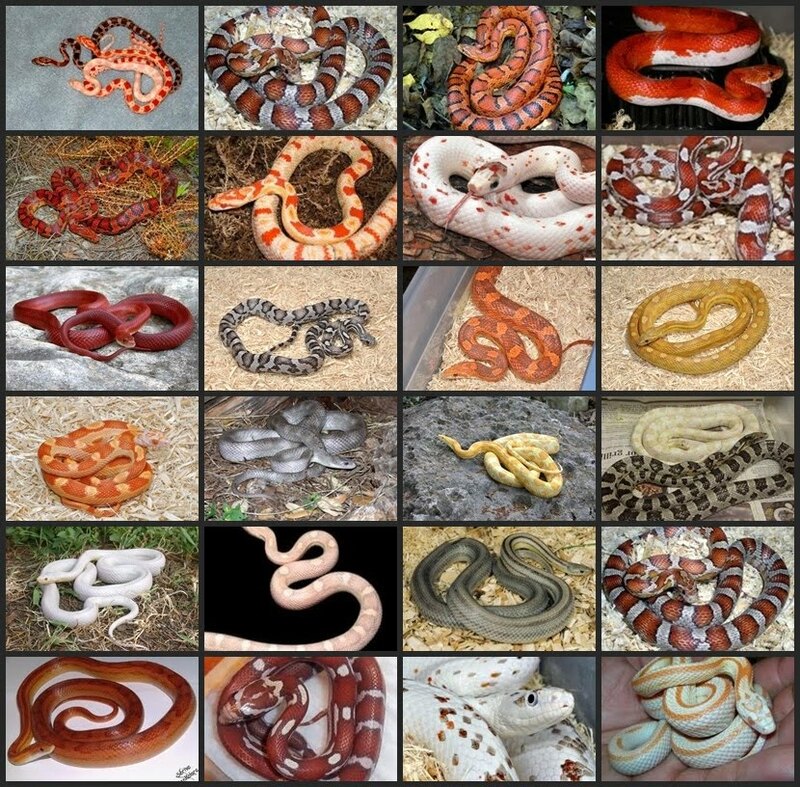 This is a great drawing showing the variations in the Scarlet King snake, notice the shape of the head. Last edited by Evan the Diplomat on Tue Sep 11, 2018 9:41 pm, edited 4 times in total. Thanks for the great post and the new snake resources, Evan!